Bees produce a wonderful product – honey. 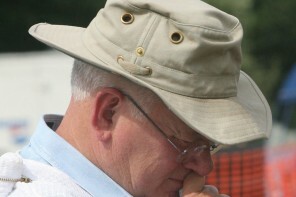 It is up to you, the beekeeper, to make their product attractive for sales as well as gifts to relatives and friends. Your label introduces your bees’ honey to the public, as well as to those relatives and friends. 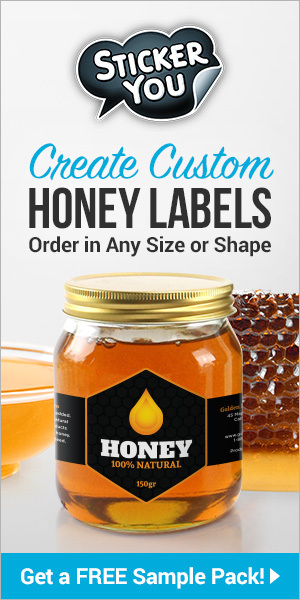 Before you decide what sort of honey label will be on your containers, you need to do some ‘homework.’ You are going to do several things before you attempt designing and printing your own label. And you might actually change your mind about doing that. Study the front labels. Take a cereal box off the shelf and take a good look at the information on the front. You also want to take a look at the information on sides and backs of containers in the sections you are visiting. The labels are not designed once and never changed. They are continuously updated to keep a modern, current appearance. However, it is interesting that the Wheaties® cereal box is practically unchanged over the many years that has been on the market. The Coca-Cola® letters have not changed since 1885, and will not change. Now that you have finished your Label Education Trip it is time to begin thinking about your own label. First, and most important, it must be a legal label. That means it must follow the requirements set by the U.S. government, the Food and Drug Administration (FDA), and also those of your state. Generally the states follow the U.S. requirements. The FDA website is not very useful at this time so I recommend you use the information given by the National Honey Board (NHB) and your state department of agriculture. In some states the label information may be from the state department of health. Stop whining! The requirements actually are excellent for sales appeal! The National Honey Board, a marketing board, is full of all kinds of information about honey. For label information go to www.honey.com, click on Honey Industry on the right hand side of the bar just above Discover . . 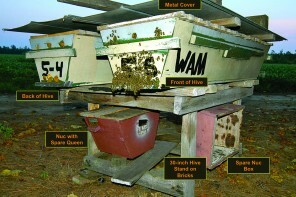 ., then click on Honey Testing and Regulations, then on Honey Labeling. I found that miscellaneous Internet sites are not to be trusted. You need legal labels to sell at farmers’ markets, shops, roadside stands, fairs and, of course, in such places as supermarkets. Yes, state inspectors can and do visit such places. The word ‘honey’ needs to be in large legible type on the front of the container. Yes, you do have to put the net weight on in pounds or ounces and in metric. You may use 1 lb (454 g). You do the arithmetic for other weights. Font size and placement are specified on the Honey Board website. I hope you noticed the net weight information on your supermarket trip. You may certainly use decoration but it cannot obscure the essential information. In the United States a cartoon bee (silly, humorous) is acceptable but a bee photo or realistic drawing is definitely not recommended. A National Honey Board marketing survey found that realistic bees on a label made customers pull their hand away and select another honey with a different, non-threatening label. The word ‘pure’ is acceptable and does encourage sales. The word ‘natural’ has not been defined officially although its definition and use will be announced by the FDA perhaps during 2016. Also there are no definitions for words such as ‘raw’ that is frequently used for honey. When floral sources are used, such as ‘clover,’ you must be prepared to show evidence that is the main source of the honey in the jar. You can have a batch of honey tested for its identifiable pollen at the Texas A&M pollen identification laboratory. You cannot use the word ‘organic’ or that special label unless you have the official organic certification. Contact information is required and today is considered very important. Consumers want to know the source of their foods. This information goes on the bottom third of the front label and in type 1/16 inch tall, 10-point type. If the honey is all from your bees you would use ‘Produced by’ but if you also bought honey from another beekeeper you need to use ‘Packed by’ or Produced and Packed by.’ You may use your name or your apiary name, but you need an address and phone number. Some states will permit an email address but you need to find out. Beekeepers who think contact information is unnecessary because they only give it away, not sell it, are missing the point. The jar of honey, with no contact information, may be sitting in a home on a table where visitors will see it. With contact information they know where to buy some. You are familiar with the Nutrition Facts Label, that black and white label found on just about every packaged food you buy. You can apply for an exemption if you are selling less than 100,000 units per year. Fortunately this Label, especially for honey, is available from beekeeping equipment suppliers. It can go on the back of your container. If you are using the word ‘healthy’ you must have one. However making health claims can put your honey into the category of an unapproved drug and can be investigated by the Food and Drug Administration. Although it is an unattractive label, it does sell honey! I have sold quite a number of jars because that label states Fat 0%. Yes, fat in honey seems strange to beekeepers but it does catch customers’ eyes! If you decide to add flavorings or other natural or synthetic additives to your honey you are required to list the ingredients in order of quantity, highest to lowest. You may need to change the Nutrition Facts Label to include the additives. It is essential also to identify any spices or essential oils. Some people are sensitive or allergic to those, as well as to peanuts and tree nuts. Most packaged foods you buy have the ‘bar code’ somewhere. It is actually called the Universal Product Code (UPC). If a shop is going to sell your honey it may ask you to obtain a UPC. It is usually used for inventory – keeping track of purchases and need to reorder. You cannot invent one. Visit a website under Universal Product Code where you will find out how to obtain your own bar code. Now that you know the various requirements you can make some decisions about what your label will look like. Perhaps the first consideration is your choice of containers, their shapes and sizes. Will one size and shape label fit all the sizes and types of containers you use? No. A label suitable for a one-pound inverted container will not fit a one-pound glass hex jar. A label that is appropriate for an eight-ounce jar will seem too small for a one-pound jar. The label is presenting your product! When your label is on your container you want honey visible. After all, honey is beautiful so let it be seen surrounding your label. If you use different sizes and shapes of containers you need their appropriate labels. What about the background color of your label? Yes, it can be white. In food products color can indicate a type of food. Green can mean decaffeinated or low fat. Yellow suggests cheap. Black is used for upscale or gourmet foods. Blue is frequently used for seafood. However, a yellow flower would indicate something about bees, not cheap. It is very important to consider the usual color of your honey, which could be from water white to dark brown. That color is particularly important if you choose a transparent stock for your label. Black letters on transparent stock against dark honey become invisible. Small labels are available commercially. Ones with ‘Local Honey’ are effective, especially in shops frequented by tourists. A label explaining crystallization and how to reliquefy is a useful label. Many people think that partially crystallized honey has spoiled and throw it out. You can find round labels to put on jar caps to make an eye-catching table at a farmers’ market. Many beekeepers now are designing and printing their own labels. 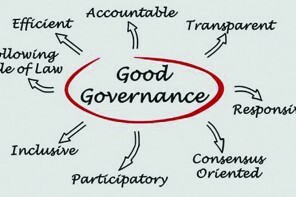 It may seem easy, and even cheaper to do this but many problems exist with this approach. It would be a good idea to have a commercial artist review your design, keeping in mind the legal requirements, as well as your choice of containers and usual color of honey. College students who are taking commercial art classes could use designing a honey label as a class project. If printing your own, what paper stock will you use? Ordinary label paper has one great fault as a honey label – the paper is not waterproof. In addition it tends to get somewhat rough and fuzzy. Think about any container of honey, even the dripless inverted one. The container gets sticky with ordinary use. So the customer takes a wet sponge or dishcloth to wipe it clean. After a few swipes the ordinary paper stock begins to disintegrate. The label is then unattractive. Special waterproof paper stock is available for labels. Now what about the ink in your printer? The ordinary ink is not waterproof either. So after a few swipes with the wet cloth the printing smears. Disintegrating paper, smearing ink. The label is now a disaster. This is not a good impression to make on your customers and friends. Waterproof ink is available but will it print on and stay on the waterproof paper you chose? You will simply have to experiment. What are alternatives? You could take your design to a local printer and discuss printing options and prices. Local printers have access to various kinds of commercial label stocks and inks. You could contact the label companies advertising in the beekeeping journals to see if they could take your design and print it with their commercial stock and inks. And, of course, you could select a honey label from the selection offered by those advertising in the beekeeping journals and from the beekeeping equipment suppliers. If you haven’t yet, now’s a good time to look at that collection of labels on page 12. What works, what, if any, don’t and why? Your bees worked hard making the honey. You worked hard keeping your bees and processing their honey. Now that honey is going to meet friends and customers with a good, well-designed legal label, matched to its container to show the pride you take in your operation. Ann Harman reads labels, teaches beekeeping and keeps her bees at her home in Flint Hill, Virginia. CATCH THE BUZZ – We Bet You’ve NEVER Done Any of These, Right?